سواءً كنت مسافراً بغرض السياحة أو العمل، شقة فندقية نوفا ستاريت هو خيار عظيم للإقامة خلال زيارتك للمدينة. يمكن من هنا للضيوف الاستمتاع بسهولة الوصول إلى كل ما تقدمه هذه المدينة النابضة بالحياة. يشكل هذا الفندق ملاذاَ مريحاً للاسترخاء ويمنح زواره فرصة للاستجمام والتجدد، وهو يقع على بعد خطوات من المعالم السياحية الكثيرة للمدينة. يقدم شقة فندقية نوفا ستاريت خدمات لا غبار عليها وكل أشكال اللياقة وحسن الضيافة اللازمة لإسعاد ضيوفه. يقدم الفندق فرصة للاستمتاع بشريحة واسعة من الخدمات بما فيها: تخزين الأمتعة, موقف سيارات, خدمة غرف, غرفة عائلية, مطعم . يمكن للنزلاء الاختيار من ضمن مجموعة من الغرف المصممة بعناية لتعكس جواً من الراحة، والتي يتجاوز عددها 58. كما أن مجموعة الخدمات الواسعة الموجودة في الفندق لضمان راحتك تترك لك الكثير من الخيارات لقضاء وقتك أثناء فترة إقامتك. يشكل شقة فندقية نوفا ستاريت بخدماته الراقية وموقعه الممتاز، قاعدة مثالية للاستمتاع بإقامتك في المدينة. مكتب الإستقبال مفتوح من 06:30 صباحاً إلى 09:00 مساءً الضيوف الذين سيصلون خارج هذا الوقت يطلب منهم التواصل مع العقار مباشرة قبل موعد الوصول لترتيب هذا الأمر. After reading mixed reviews, I wasn't really sure to book the hotel, but I took my chances. My room was really clean and tidy. Bed sheets were clean. Has Kitchenette which has microwave, utensils, coffee machine, coffee and tea provided with milk, cutlery, glasses, mini refrigerator with freezer, and any other amenities. Includes towels and bathroom amenities. Wall plugs are not international, so you would need international travel adapter for Australia. Has a mini Balcony to stand. Split ductless Air Conditioner worked great with remote provided. Very Close to queen Victoria market just 5-7 minutes walk for all your shopping needs (including wide variety of Souvenirs) and cheap and delicious food including fresh fruit and vegetables. It falls in the free Tram Zone. Just a quick 5 minute walk from the tram stop. Computer table along with ample of closet space including mulitiple shelfs, iron and ironing table. Restroom has shower with instant hot water. Hair Dryer also provided. The room was incredibly dirty from stains on the carpet to a gritty shower where the entire metal edge was coming off and covered in grime underneath. The worst part was reaching into the cupboard to grab a plate and it being wet and mouldy - which almost made me gag. Room size is large. Close to Victoria Market. Don’t stay here if you’re a clean freak! Room was not really very clean at all on check in and when it was serviced they just made the beds and changed the towels. Upon arrival our TV didn’t work.. not usually a great problem for us but with no free wi-fi and on a rainy evening, we would have liked to watch the TV. We spoke to reception the following day who said they would sort by the time we were back from our day out. When we arrived back, it was still broken. We spoke to reception again where a female member of staff then spent 30 minutes checking TV’s in other rooms to try to swap them over, as she muttered to another staff member that it would “save them money” rather than simply moving us rooms. All in all, a very below average stay with the location being the only positive. 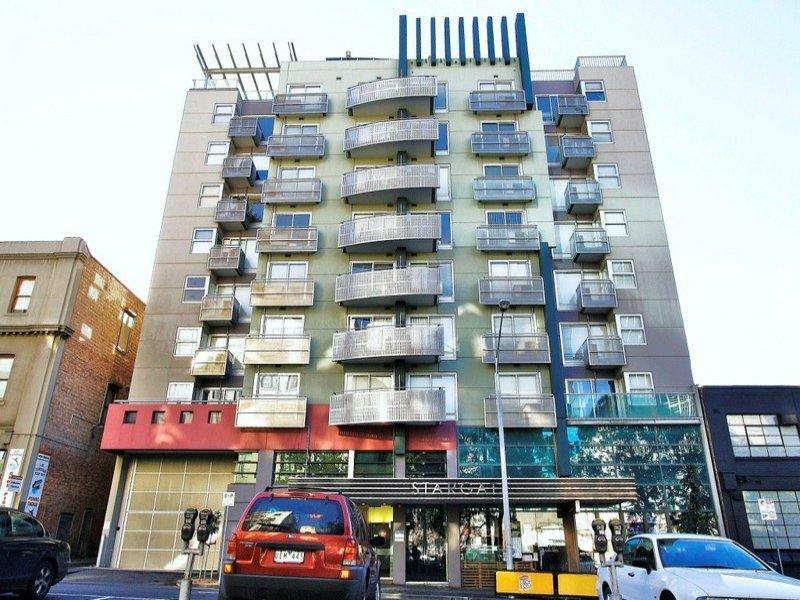 The location is good, nearby to tram and Queen Vic Market. Just basic budget aparthotel. I have stayed with Nova Stargate for a couple of times. I feel that for the price you pay, it's worth the money. Melbourne Central is just 5 minutes away on foot and you can find all sorts of cuisine. My only criticism is the cleanliness, where you can see some stains on their kitchen utensils and some rust on their electric kettle. However, staff were very attentive when I asked them to change the kettle. Location very good. Room adequate. Some issues with cleanliness (bandaid under bed from previous people who stayed). In room safe was locked and staff unable to fix for us. Not have HiFi, old stuff on rooms, the blinds are too old and broken, shower head didn't work properly, dirty sofas and not cable tv . The only good thing is the location. The hotel is in great location. Nothing surprise for the bit old building. Had a leaking in our bathroom, called them. Good things they get us another room , but it's was leaking too. The carpet was soaked wet, and we get another room. The 4th room. I'm surprise of their water leaking issues, or maybe just once when I'm here. never know. But they did honor and gave us another room. Which is good overall. Keep it up! The only negative of this hotel is it did not provide wifi to us during our stay. Other than this, this hotel is good value for money, in good location (free tram in city, queen victoria market, 7 eleven). 1 key made it very difficult to get around. apartment was grubby. staff in particularly a chinese female was extremely rude. I wasnt able to get to my room because they give u 1 key so I asked for assistance and was abused and refused entry even after asking for management i was still rudely denied entry. 5 hours later my patner came down extremely worried and found me.. I am disgusted in the staff members behaviour as it ruined our whole stay. I would never recommend this hotel to anybody.. The apartment is spacious but shabby and old. However, given the price, it is adequate. I just need the place basically to sleep. Hence, it's enough but definitely, they have to improve on cleanliness. Some utensils such as kettle, spoon and kitchen stove were dirty. I saw a small cockroach in the toilet. Room layot was nice and beds where nice n clean. Reception boy was nice. But no wifi in the building. Dirty kitchen filled with cockrouts. Fridge door didn't close properly. Cockrouts in the bathroom and every where. Didn't feel like eating or cooking here. Because dirt everywhere. If you're looking for just a quiet basic room at an affordable price with secure undercover parking then you can't go wrong here. Close to Victoria Market and Elizabeth St. Very handy if you want to go to motorcycle shops. If you are visiting Melbourne to see Melbourne (not to sit in your room all day) than it's a really good place to bed down: I recommend. 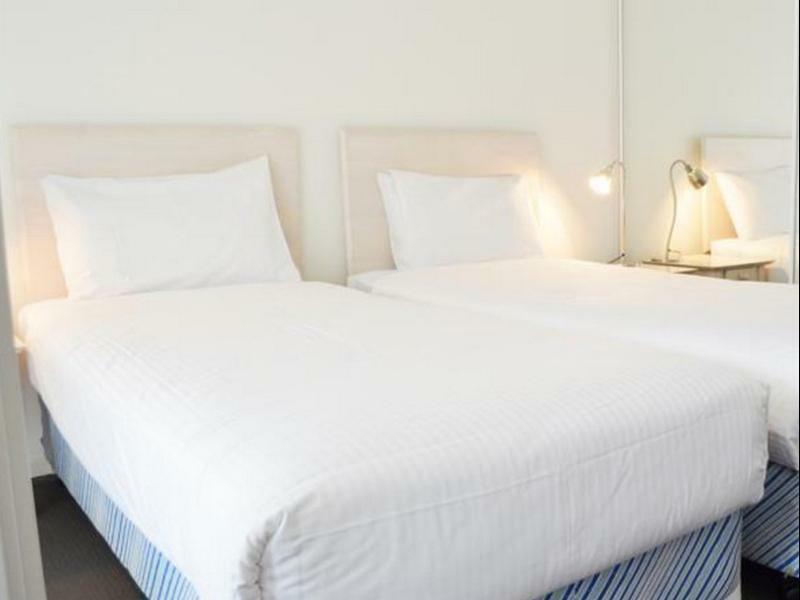 The per night rates are similar to serviced apartments in Gold Coast and Brisbane, but rooms are smaller. 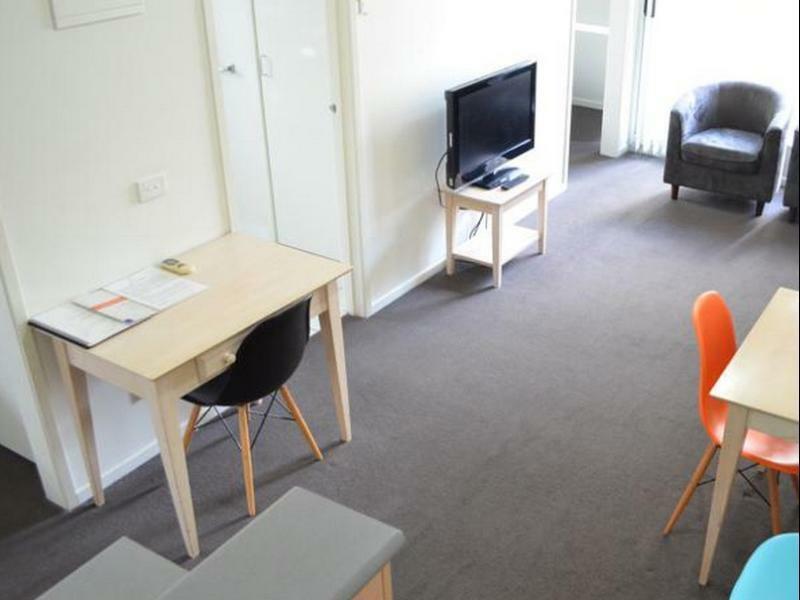 However, the room size is comparable and rates are affordable when you compare it to other accommodation in Melbourne CBD (Excluding back packers/shared accommodation). I read a lot of bad reviews on cleanliness and wear & tear. Perhaps those people confused this place with the Hilton or some other 5 star facility. Cleanliness was as average as I've ever seen anywhere else in serviced apartments. Same goes for the wear & tear of furniture and of the apartment itself. Staff was friendly, straight to the point and caused me no issues. Towels are changed & bins are emptied every morning (uncommon). The room was clean and beds comfortable but the service was a bit average. The hall had a small to and when we got into the room the fire alarm was beeping as the battery was low. We rang twice and was told they would come and look at it. When I went down to get food I asked at the desk and was told just take the battery out. There was also a broken chair as well. The location was good and the view was nice too. This property needs a lot of attention. Our room was full of broken items, the balcony door, A sitting chair was clearly broken, and our door had the lock ripped off. We were given a queen bed rather than two singles as requested. The room looked like it hadn’t been vacuumed in months. Lucky this property was rather cheap for a weekend overnight stay, and in this case you get what you pay for.